Requires transfers of firearms when neither party is licensed dealer to be conducted through licensed dealer & requires processing by licensed dealer. Background check for firearms sales. Requires a person wishing to: (1) sell; (2) trade; or (3) transfer; a firearm to conduct the transaction through a licensed Indiana firearms dealer. Requires a licensed Indiana firearms dealer to perform a NICS background check when facilitating the: (1) sale; (2) trade; or (3) transfer; of a firearm between private parties. Minimum age to purchase assault weapons. Defines the term "regulated weapon". Prohibits the: (1) sale; (2) trade; or (3) transfer; of a regulated weapon to a person less than 21 years of age. A mandatory waiting period shall be imposed between the purchase and delivery of any firearm by a person from a retailer. The mandatory waiting period is three days, excluding weekends and legal holidays, or upon completion of the records check, whichever occurs later. This act makes it a Class E felony offense of unlawful transfer of weapons for a licensed firearms dealer to deliver a handgun to a purchaser without waiting at least 72 hours and upon receipt of the purchaser's criminal background check. Prohibits transfer of handgun or assault rifle to person under 21 years of age. Relating to a sales and use tax exemption for firearm safety equipment. This bill proposes to: (1) require a 48-hour waiting period for all firearms sales and (2) require that, when a firearm is not in a person’s immediate possession or control, the firearm must be locked in a safe storage depository or rendered incapable of being fired. Prohibits a person from manufacturing, possessing, distributing, importing, transferring, selling, offering to sell, or purchasing a large capacity magazine. Defines "large capacity magazine" as an ammunition feeding device with the capacity to accept more than ten rounds of ammunition. Relating to assault weapons; to prohibit the sale or transfer of an assault weapon to any person under 21 years of age; to prohibit any person under 21 years of age from possessing an assault weapon. Firearm sales; transfers; background checks. This bill would have imposed a tax upon retailers for the privilege of selling firearms and ammunition, as defined, on the gross receipts of any retailer from the sale of firearms and ammunition sold in this state on or after January 1, 2019. It would also have imposed a comparable excise tax on the storage, use, or other consumption in this state of firearms and ammunition purchased from a retailer for the storage, use, or other consumption in this state, as provided. This bill would have legalized ownership of suppressors in California and provided for their use during hunting. This bill would have increased the maximum detachable ammunition magazine capacity for pistols that may be manufactured, possessed, sold, bartered, traded, gifted, transferred, or acquired. This bill would have implemented universal background checks. Create a new section of KRS Chapter 237 to define "assault weapon"; create a new section of KRS Chapter 527 to prohibit the possession of an assault weapon by a person under 21 years of age unless they are a member of the Armed Forces of the United States or a law enforcement officer. Proposed law prohibits the sale of an assault rifle to a person under the age of 21 years and defines an "assault rifle". Bans suppressors. Implements assault weapon ban (1 feature); provides for grandfathering and registration. Implements large capacity ammunition magazine ban (10 rounds). Requires permit to purchase firearms. 5 day waiting period on firearm purchases. Universal background checks. An act to require record-keeping of sales of pistol or rifle cartridges. Makes it unlawful for an FFL to transfer ammunition in an amount two times an assault weapon can hold to a person in any 120 day period. Extending 48 hour waiting period to cover long guns; extends universal background checks to long guns. Criminalizes the manufacture, import, possession, purchase, sale or transfer of any ammunition feeding device capable of accepting more than 10 rounds, known as high capacity magazines. Makes exceptions for law enforcement and the US armed forces. A bill to amend the Code of Laws of South Carolina, 1976, by adding Section 16-23-540 so as to provide that it is unlawful to sell an assault rifle to a person less than twenty years of age, to provide a penalty, and to define the term “Assault Rifle”. Keep Americans Safe Act. Prohibits purchase of large capacity magazines (anything over 10 rounds). Requires manufacturers to serialize large capacity magazines manufactured after the effective date. Relating to: banning detachable or fixed magazines that have a capacity of more than ten rounds of ammunition and providing a criminal penalty. 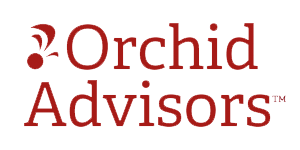 Orchid Advisors provides ATF and ITAR compliance services to manufacturing, distribution and retail FFLs. The firm offers FFL and Export licensing, deep record inspections, e4473 / NFA eForms, Electronic Bound Book software and delivers the largest online ATF and ITAR compliance training platform available. Together with its partners, Orchid delivers the only integrated firearm compliance, technology and legal solution.